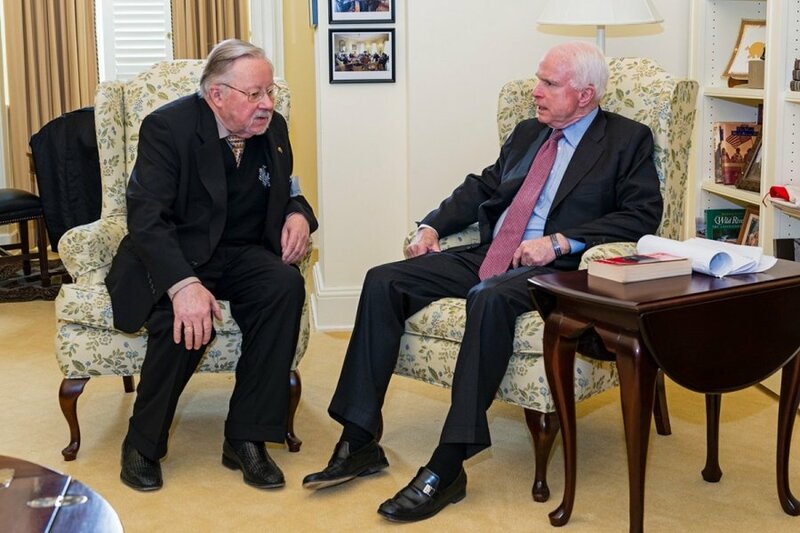 During a gruelling 48 whirlwind tour of the US Capital, Professor Vytautas Landsbergis and Lithuanian Minister of Foreign Affairs Linas Linkevičius participated in the 25th anniversary celebration of reinstatement of Lithuanian independence and visited some of the most influential political leaders, including House Speaker John Boehner and Senator John McCain. The duo also visited the Baltic group of Congress leader, John Shimkus, former Speaker Nancy Pelosi, and the former US Secretary of State, Dr. Zbigniew Brzezinski. In addition, Professor Landsbergis and Minister Linkevičius took out time to speak to the Brooking Institute and The Bertelsmann Foundation that are among the US Capital’s most influential think-thank organisations. The high delegations from Lithuania was well received by all influential politicians in the US maintaining both the historic strong and deep ties between the US and Lithuania. The Baltic group of Congress leader, John Shimkus promised to address on March 11 the American Congress and to bring a message of Lithuania with an endorsement of House Speaker John Boehner. During the top-level meetings, all the current key issues were discussed. Minister Linkevičius said, "We have impressed upon the US to keep up the leading role in stopping Putin’s aggression in Ukraine and Eastern Europe." 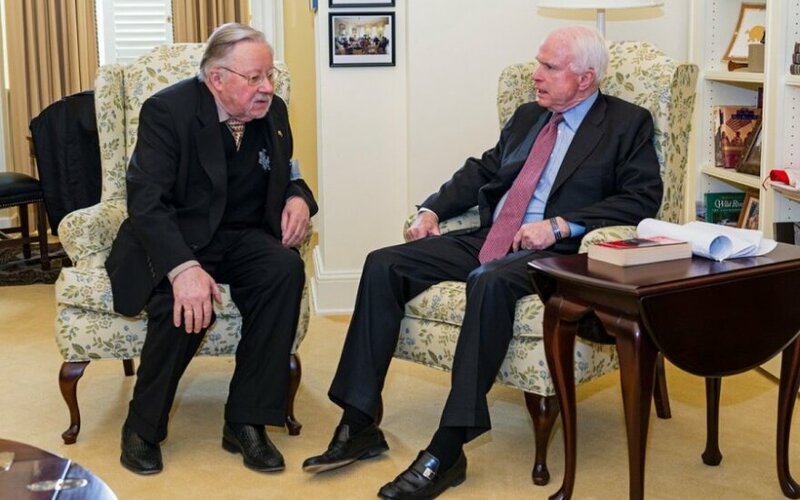 Professor Landsbergis expressed his concern with respect to the ongoing aggression stating, "It is still of grave concern how this whole situation is going to finish or unfold." Ambassador Pavilions said, "This was the first VIP visit to DC after Republic take-over of the US Congress and we have received the highest level of treatment from the leadership of both parties in Congress." He added, "Speaker Boehner and former Speaker Nancy Pelosi, as well as Senator McCain and Senator Durbin have taken our views and voice very serious at the most strategic level. It means we are listened to and that we are leading at least some of most important foreign and security policy agendas." The Lithuanian Ambassador summed it up stating, "Americans and other nations have noticed that Lithuania has led by example, we have proven that the revolt against the Evil Empire and against ‘the dictate of impossibility’ was possible and successful. What President Landsbergis did 25 years ago was not only successful but still continues to inspire the region as well as a lot of Americans themselves." Indeed that Lithuania has been ‘walking the talk’ was a buzz phrase that was often repeated over these last days in the US Capital. It was most amazing to see Professor Landsbergis keeping up such an exhaustive schedule speaking passionate about his cause almost around the clock. Professor Landsbergis and Minister Linkevičius returned to Lithuania on Thursday evening.